While trends come and go, there are some that stay to stand the test of time. One popular style that’s been around for decades is the mid-century modern look, an aesthetic that features clean lines, geometric shapes, and bold colors that add to the retro vibe. 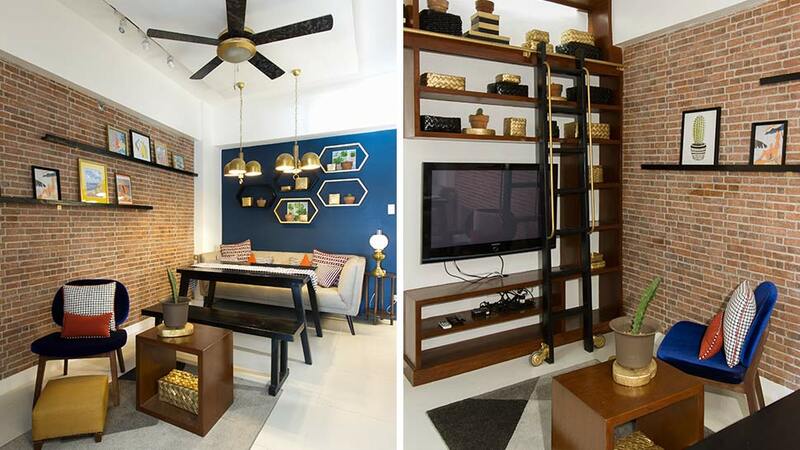 Inspired by the well-loved style and the bevy of brass pieces and Art Deco fixtures found in Evangelista Street in Makati, the TKSL Interior Design team transformed this unit into a functional home with a distinct old-world charm. Stepping into the space feels like a time travel adventure—as faux brick tiles, lovely shelves, and must-haves that hark back to the ‘60s take center stage. Whether you love all things vintage or you’re just on the hunt for a home peg, this welcoming home has a well of ideas that will surely pique your imagination.